No doubt you’re familiar with the growing opioid epidemic. A major root cause of the epidemic is the over-prescribing by doctors of highly-addictive opioids for pain and inflammation management. In addition to the worsening opioid crisis, there’s also an unreported undercurrent of pain and inflammation management gone awry. And that’s the abuse of NSAIDs (non-steroidal anti-inflammatory drugs.) Although NSAIDs are considered by some experts to actually be more effective for pain and inflammation than opioids, that doesn’t mean they are safe. In fact, NSAIDs can harm your kidney, liver, your digestive system and your heart. In light of the risks of using both over-the-counter and pharmaceuticals, there is growing interest in natural remedies for pain and inflammation. Essential oils have a centuries-long history of use for a variety of health concerns. This includes pain and swelling. But is there any evidence essential oils for inflammation work? It turns out there is. Although large-scale studies on humans is lacking, essential oils in small clinical studies and rodent models seem promising. Lavender essential oil is an effective anti-inflammatory. According to this study, for swelling of the ear, lavender oil is it’s just as effective as Dexamethasone. A commonly prescribed medication, “DEX” is a steroidal anti-inflammatory. Steroidal anti-inflammatory shots, aka cortisone shots, become less effective over time. However, repeat usage of lavender essential oil contains virtually no risk and maintains its effectiveness despite repeat use. Laurel oil (Lauraceae) also is one of the best oils for inflammation and pain. According to this study, its ability to reverse inflammation is comparable to two NSAIDs. Anybody that elects to have knee replacement surgery is likely apprehensive about pain and swelling. But there is one essential oil that research shows can significantly reduce inflammation, pain and swelling after the surgery. And that oil is eucalyptus. Inhaling eucalyptus oil is effective in reducing patient’s subjective pain and blood pressure after surgery. These conclusions are based on this study, published in Evidence-Based Complementary and Alternative Medicine. Another essential oil for knee pain management is a blend of only two common essential oils. This study of 59 senior citizens in Hong Kong demonstrates a blend of orange and ginger oil (see more on ginger oil, below) may offer short-term knee pain relief. Looking for one of the best essential oils for inflammation? Especially for joint pain? This study demonstrates that three different species of eucalyptus contain analgesic (pain-relief) properties. In addition, the three Eucalyptus species possess strong anti-inflammatory effects. The researchers of this study believe eucalyptus is so effective for pain relief and inflammation that it should be considered for use in pharmaceutical drugs. There are several other essential oils you can use. For example, some of the top brands of essential oils sell blends for joint pain relief. One blend comes from Doterra. It’s called Doterra’s Deep Blue Complex. This Doterra essential oil for inflammation contains frankincense, turmeric and ginger. Autoimmune diseases can trigger joint pain. Rheumatoid arthritis (RA) is one example of an autoimmune disease. RA causes painful swelling in the joints. Ginger is one oil that shows promising abilities in research to fight RA. Another essential oil for RA that demonstrates potential to battle RA is myrrh. (Myrrh also may be one of the best essential oils for eczema.) Frankincense, too, contains properties that have been shown in research to reduce joint pain. In addition to lavender, three citrus essential oils show strong anti-inflammatory properties in this study: lime oil (C. aurantifolia), and two different species of lemon oil: C. limonia, C. limon). One essential oil for inflammation you may not be familiar with is Hinoki Cypress. Another name for Hinoki Cypress is Japanese cedar. The oil from Hinoki is used in some commercial soaps, toothpaste and cosmetics. And according to this study, Hinoki Cypress contains several types of terpenes. Terpenes not only protect against cellular damage. They also have strong anti-inflammatory effects. In the study, Hinoki Cypress oil reduces inflammation caused by toxic compounds in cells. As with eucalyptus in the study above, the researchers suggest Hinoki Cypress should be considered for pharmaceutical remedies. Clove oil can reduce inflammation in the cells of connective tissue, according to this study. The study shows that topical use of clove essential oil at a concentration of 0.011% prevents internal conditions that promote inflammation. Clove oil achieves this by significantly altering pathways critical for inflammation. In summary, the researchers conclude clove oil has strong anti-inflammatory and tissue remodeling activity in human dermal fibroblasts. Fibroblasts are the active cells of connective tissue that makes us your skin. Bronchitis and sinusitis are both conditions of internal inflammation. One of the best essential oils for these respiratory ailments is actually a blend of oils. And you won’t be able to find this blend by searching for “doterra essential oils for inflammation.” This blend is a patented dietary supplement, Myrtol. Myrtol is a blend of eucalyptus, sweet orange, lemon and myrtle. Together, these oils dissolve thick mucus. Mucus is an all-too familiar sign of inflammation. And according to this study, the oils in Myrol contain anti-inflammatory properties. These properties help eliminate mucus and encourage healthy mucus production. Another essential oil for inflammation is cinnamon. Cinnamon can help you overcome a cold. The common cold is a collection of viruses. Viruses are a sign of inflammation. However, cinnamon, because of these anti-inflammatory properties, may help nip a cold in the bud. Moreover, cinnamon may be one of the best essential oils for inflammation because it may reduce swelling. Turmeric has garnered lots of media attention as of late. Not only can it enhance savoriness of stir-frys and other dishes, it also has dozens of therapeutic properties. That’s why turmeric shots have become popular. 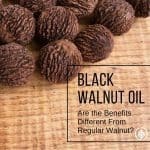 And the oil from this spice, which contains over 100 compounds, might just be an amazing essential oil for inflammation. Turmeric essential oil, according to this study, not only fights inflammation. But among a myriad of benefits, it can block pain as well. Another of the top essential oils for inflammation is rosemary. This study, like most other studies involving essential oils, uses non-human subjects. Nonetheless, the research demonstrates rosemary helps fight inflammation and swelling. In addition, studies (like this one) show echinacea oil also reduces swelling and inflammation. Wondering how scientists determine if a plant makes for one of the best essential oils for inflammation? Here’s how they assess the ability of certain oils. A solution of carrageenan in saline is injected into the hind footpad of rats or mice. This injection induces swelling in the rodent’s paw. The swelling peaks about three hours after the injection. This research protocol is known as “carrageenan-induced foot pad edema.” Essential oils determine how effectively they reduce the swelling of the lab mice and rats. According to this study, lemongrass is one of the best essential oils for inflammation. Especially, for manifestations of skin inflammation. When your body is in a chronic state of inflammation, you are more susceptible to developing candida albicans. “Candida” represents a proliferation of fungus in your gut. Fungus is a yeast. And yeast overgrowth can lead to inflammation. For example, when you have too much yeast in your gut, this can trigger inflammation in other parts of the body. Not only in the gut, but in the sinuses and other areas as well, including the skin. If you have an overgrowth of candida, your skin’s appearance may suffer. However, lemongrass may help kill excess candida yeast. Certainly, there are several other essential oils for inflammation. Inflammation and pain go hand in hand. Manage the inflammation and you can relieve some of the pain. No doubt, many people suffer excruciating pain from injuries. In this case, opioids might be necessary. However, for long-term inflammation and pain management, essential oils seem to offer some promise. Which is your favorite essential oil for inflammation and pain? Leave a comment below. I’ve heard Frankincense is a good oil to use. Yes! Peppermint is a great oil too. Copaiba and Doterra’s Deep Blue. The combination of these two oils brings amazing relief!